Images and text copyright WILDSEED FARMS. 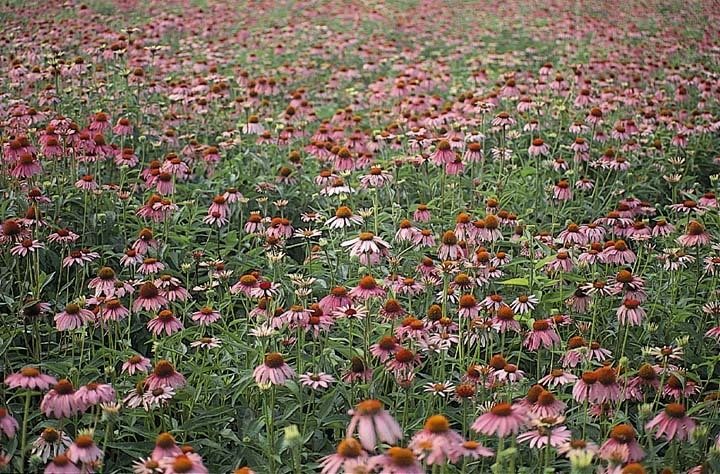 A robust, drought tolerant perennial, native to the midwestern and southeastern United States. flowers are arranged individually on sturdy, elongated stems with soft lavender or purple petals surrounding an iridescent red-orange, coned center. 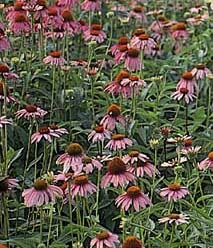 Prefers full sun to partial shade in fertile, well-drained soils. Absolutely stunning!!! Suggested use: Borders, meadows, mixtures, floral gardens. Miscellaneous: An excellent variety for cut flower arrangements with a vase life of 5 to 7 days. Propagation from root cuttings is reliable if performed in the fall.